Now, as I said earlier, I had some free time, so I traveled to the dealerships of the Detroit 3. First stop was the Ford lot. 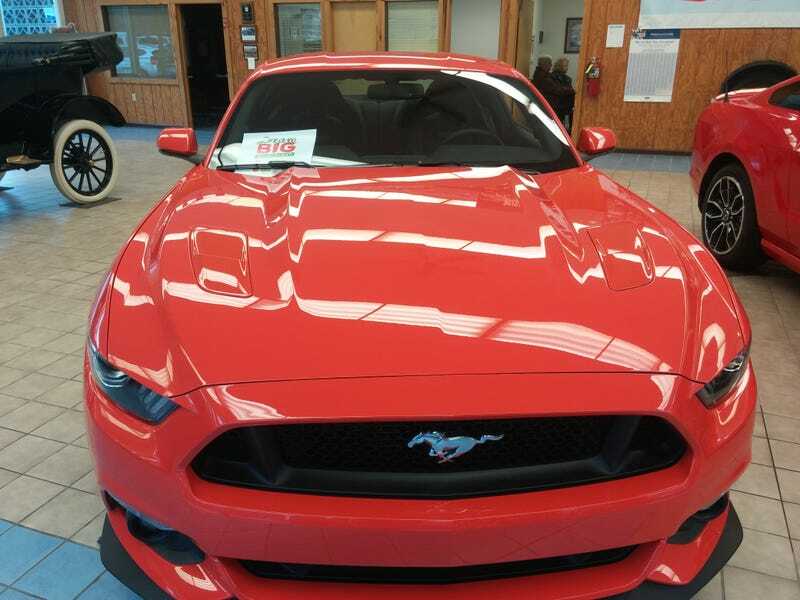 They were nice enough to let me look at a 2015 'stang GT, with the premium package in competition orange. Didn't get to start it but I got a great look all around. Those Recaros are awesome. Next was the Chevy dealer. They didn't have a new camaro but they had a 2011 RS, with only power seats as an option. Pretty plain and rather uncomfortable. Finally, I checked out the Dodge people, sat behind the wheel of a fully loaded 2015 Challenger R/T, and even got to rev the engine a bit. It was awesome. Even with just the 5.7 Hemi, it was still great. Plus, red leather.